Home > TAX - Capital Gains > CBDT : Cost Inflation indexes CII - with Base Year as 2001-02, 2017-18 CII 272..! 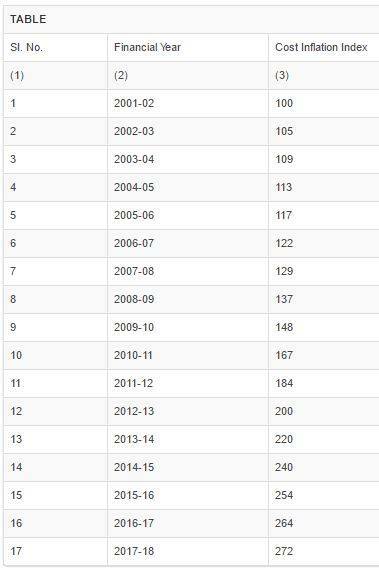 CBDT : Cost Inflation indexes CII - with Base Year as 2001-02, 2017-18 CII 272..! CBDT has vice Notification No. 44/2017 notified Cost Inflation indexes with Base Year as 2001-02 for the Financial Year 2001-02 to 2017-18 and same are applicable from Financial Year 2017-18.